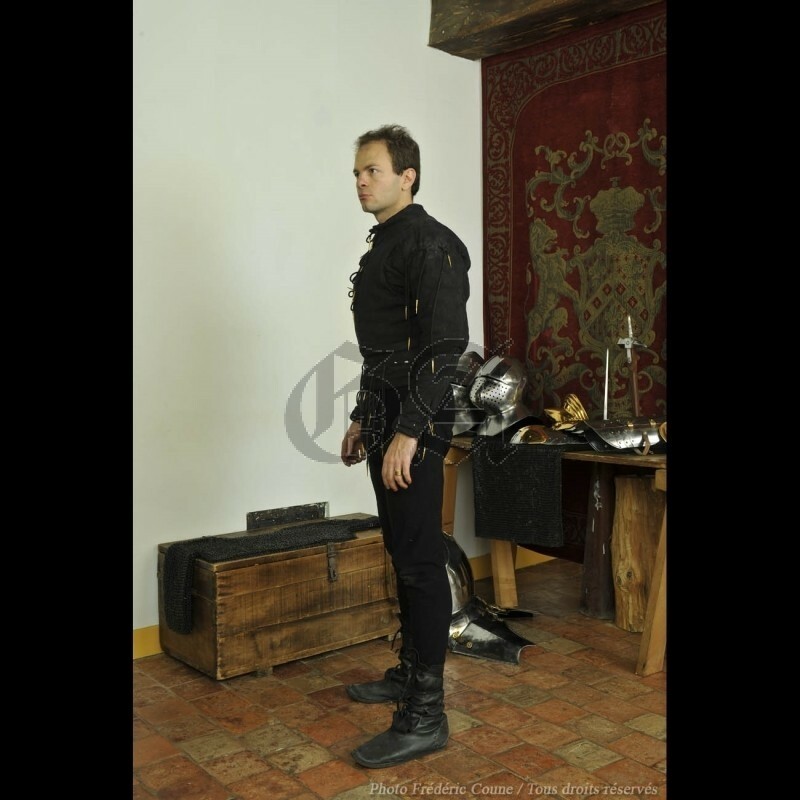 The arming doublet is probably the most important element for a beginner who starts to assemble his armour. It is probably one of our best items and surely the project we are most proud of ! Typical of XV century, the arming doublet is thinner and shorter than previous centuries’ gambesons and pourpoints. 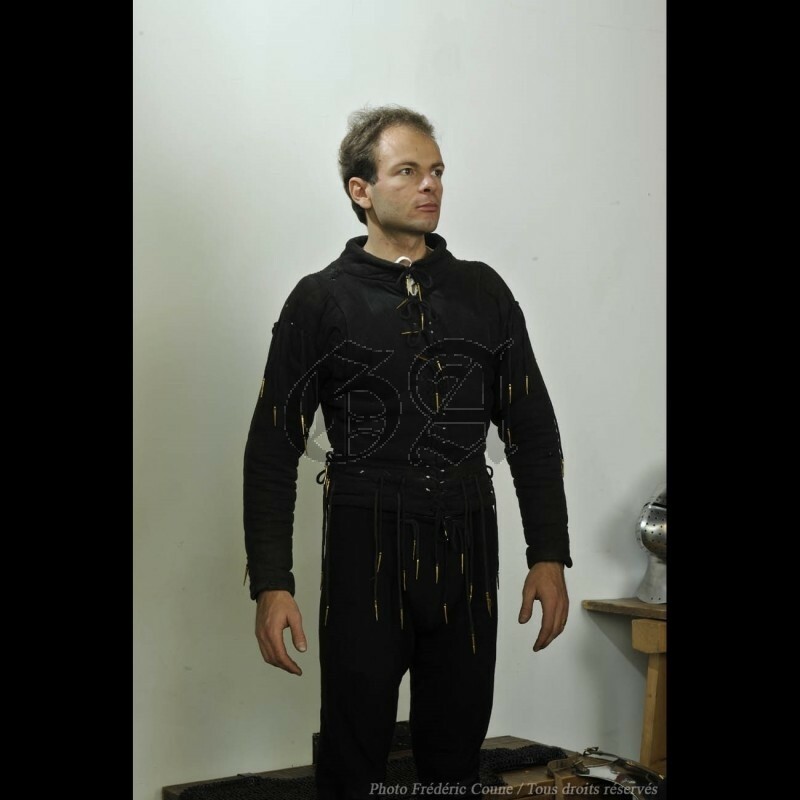 It is the ideal garment for comfortably wearing the armour. Its light padding helps cushion the impact of blows received on the armour and its numerous arming points allow you to lace the plates in place. 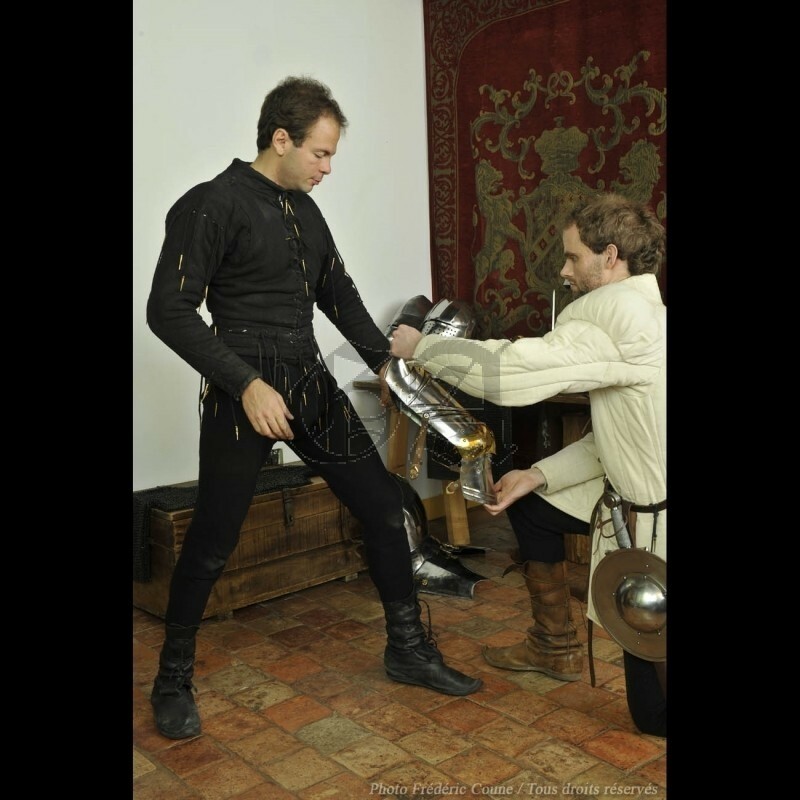 A large number of eyelets will allow you to lace your hose to your doublet and to properly lace with arming points each part of armour in the right place. Leather pieces could be sewn to reinforce the eyelets carrying the heaviest plates. 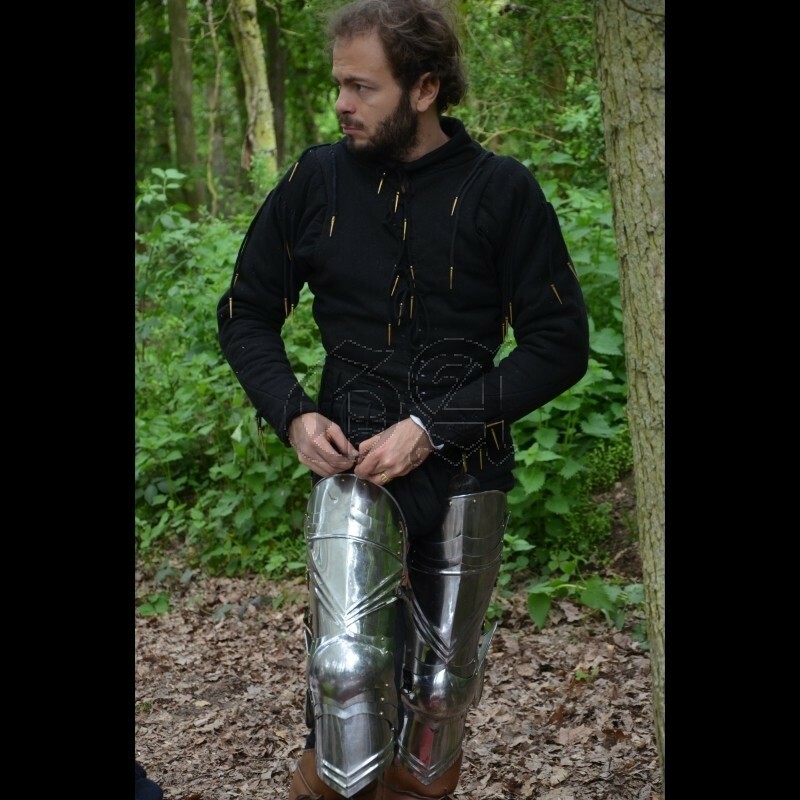 We strongly recommend this option for the eyelets used for carrying the legs armour. The most comfortable way of wearing a leg harness is to lace each leg on the side eyelets of your doublets… not on the eyelets near your “balls”. Never lace your legs armour to un-reinforced eyelets. In case of heavy fighting or fall during combat the traction might tear the eyelets. NB : all our doublets are supplied with free high quality arming points and two free sew-it-yourself leather reinforcing piece, specially designed to be easy to sew where you want to wear your legs armour. 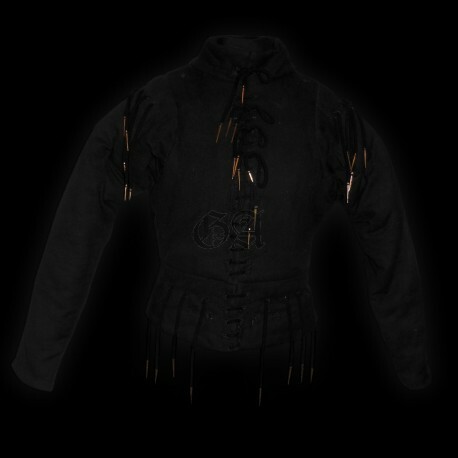 Note : thanks to the lacing and the well-designed cut, our arming doublet will make most of your belly “disappear” if you have any. 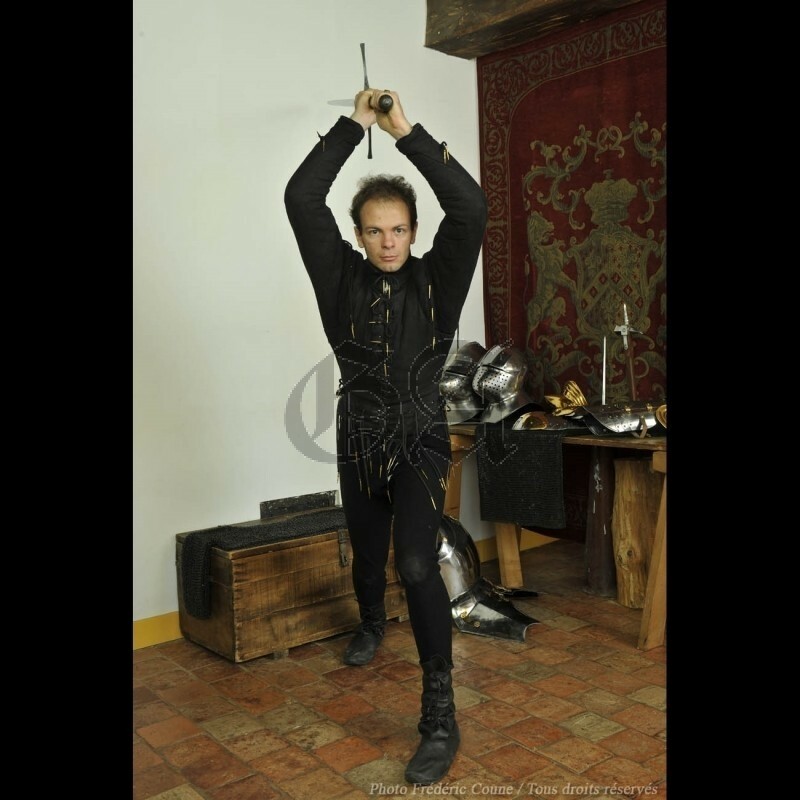 (For a more slender silhouette and nice +2 bonus in charisma;) It is therefore quite possible to have several centimeters more than the "recommended waist" and still wear the doublet elegantly.